when zzz told me he’s making bouillabaisse for dinner, my immediate reaponse was a “huh?”. And he said “I’m cooking seafood soup”. Yup. I have no idea on what these fancy/foreign names refer to. Just gimme the yummy stuff. I’ll try to remember these names, erm maybe. Slowly bring all ingredients for the stock to a boil. Simmer for 30-40 minutes. It should be tasty, if not, simmer longer. Turn off heat and cover tightly. Allow to cool for half and hour. The flavours will continue to develop in the residual heat. Strain, pressing down to extract all the juices from the bones and shell. Either keep in the fridge/freezer for use in another day or stand aside for later use. 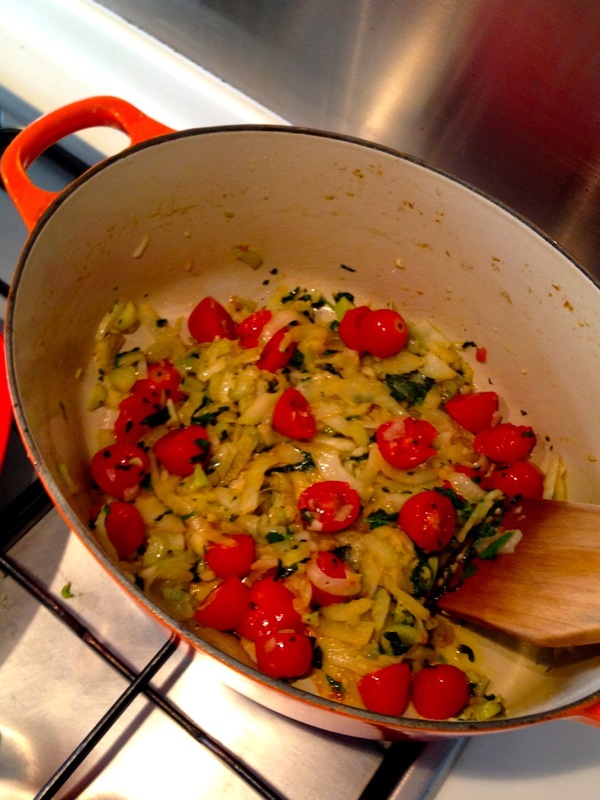 Heat a generous amount of olive oil in a heavy pot. Add fennel, gently fry with a wooden ladle in medium heat for 5 min. Add garlic, fry for 1 min. Add coriander leaves and tomatoes. Add salt and fry for 5 min or till the bottom of the pot just starts to caramelise. Add wine if using. if not add a ladle of stock. Scrape the bottom of the pan. Add saffron. Add all of the stock and bing to boil slowly. 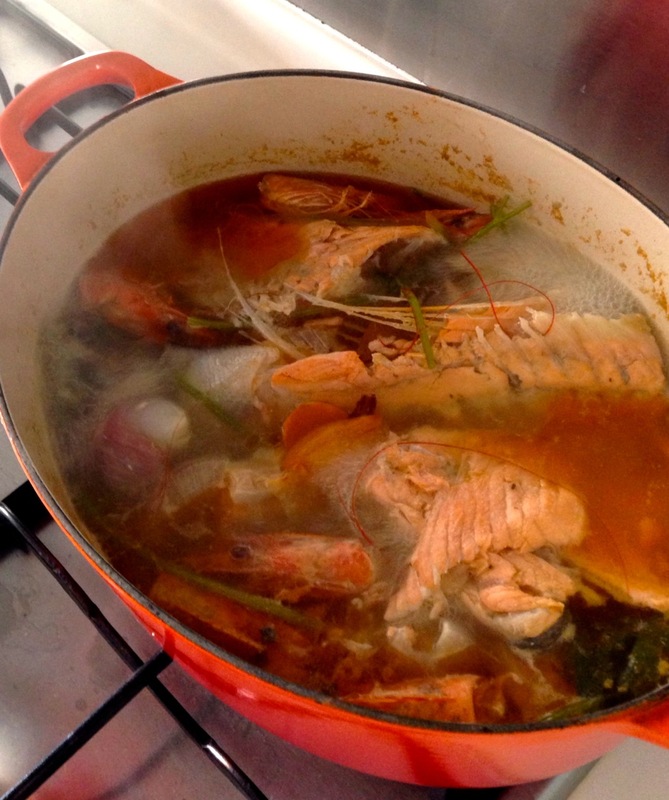 Just before serving, add fish into the pot of simmering stock. It does not take long for the fish to just cook through. 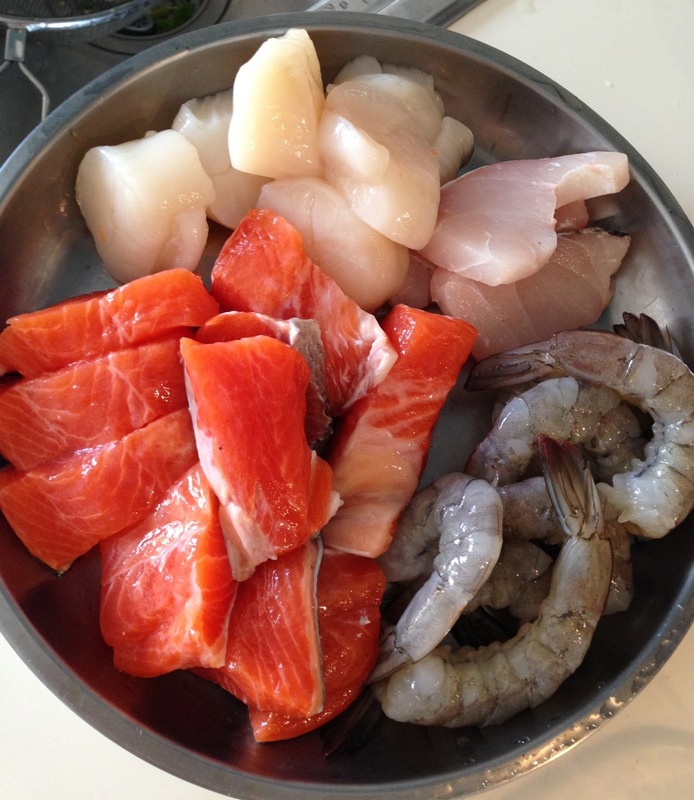 Remove the fish and place them decoratively into the serving bowls. Add ladles of soup and serve immediately with toasted baguette or croutons. 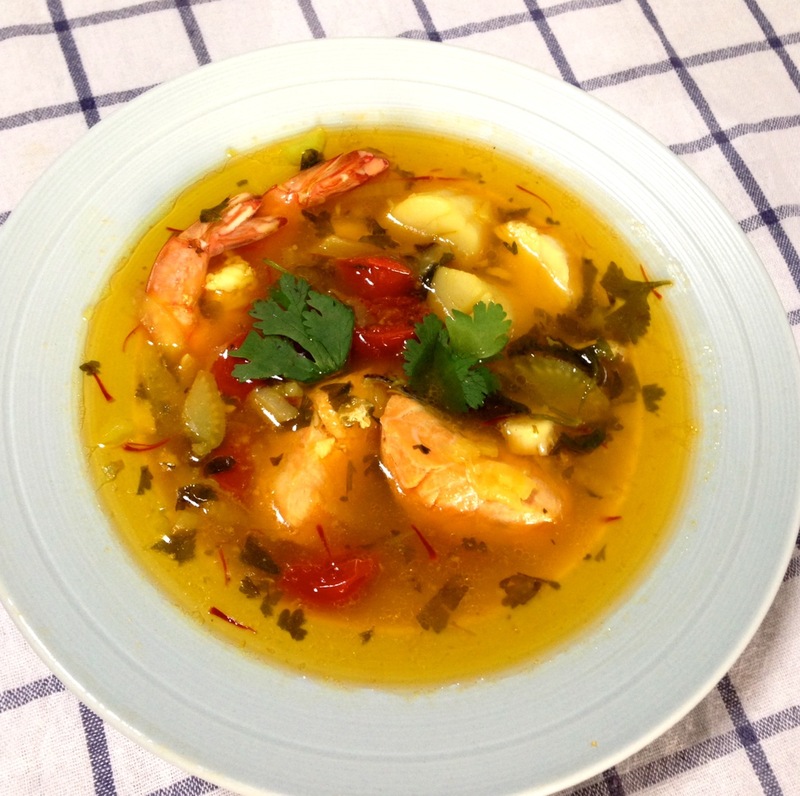 This entry was posted in Cook and tagged bouillabaisse on March 5, 2014 by three3seconds.